The agritourism farm: imagine a local vineyard offering classes on how to make wine; a berry patch where visitors can pick their own blueberries and buy homemade blueberry jam; or a goat farm where kids can pet goats and parents can buy fresh milk and cheese, or even take a class on how to milk a goat. This great industry brings together the self reliance pros and the newbies, or at least the curious. If you're an old hand at a self-reliant skill, it could mean an alternate source of income for you. And if you're new at the concept of self reliance, this could be a great way to learn more about raising your own food. 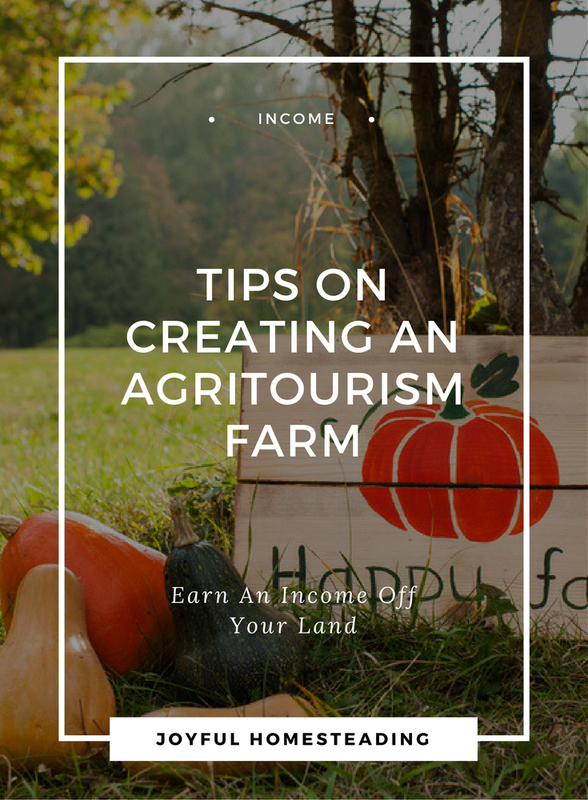 So what is agritourism? 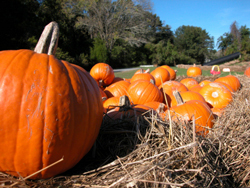 The Oklahoma Agritourism Website calls it a successful form of on-farm diversification. It's a way for people (who might not get the chance otherwise) to get a taste of the country life. I had my own experience with agritourism thanks to my grandparents. My parents were divorced when I was young, and I grew up in an apartment complex. As you can imagine, I had little experience with self reliant living. Fortunately for me, my grandmother had an old cabin about two hours from where we lived. They made several trips there each summer, and they often took me with them. I learned about gardening, using rainwater for washing, the joys (ahem!) of using an outhouse, fishing for dinner (as well as learning how to clean fish), and cooking. In today's even faster-paced society, more and more children are growing up without any "country" experience. Think of the many ways you can bless these kids and earn an income from it. But be warned; agritourism isn't for everyone. Just as it is with any business, you have to be motivated and able to get things done without a boss breathing down your neck. And because you'll likely be your only employee, at least for awhile, you will often have to put in long hours in the beginning. But more than that, you have to be a people person. If you relish being alone, running an agritourism farm isn't for you. 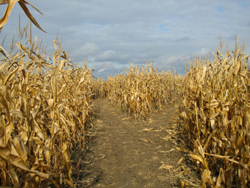 Having a corn maze on your homestead is one way to earn income off your land. You have to be friendly and upbeat even when dealing with difficult people, and you have to keep your place neat and attractive at all times. It's a lot like having strangers over for dinner six days a week. Not everyone is cut out to deal well with that kind of stress. But even if you're an amazing people person, just like in real estate, location, location, location is the key. If you're not close to an urban area (meaning within a few hour's drive time), your agritourism farm won't be successful. So you love people, are thrilled with the opportunity to make new friends every day, and your homestead is only an hour away from an urban setting. You may be wondering, how can you make money? Let your skills and your imagination be your guide! Are you crazy about horses, have a few you can put to work and possess a large acreage? Then how about offering a "chuck wagon" excursion, complete with a campfire and a barbecue dinner out on the prairie. Offer kids the opportunity to roast marshmallows under the stars. If you're handy with a guitar, you can even lead them into singing a few songs. How's that for making memories! One woman I know holds "homesteading classes" on a regular basis. She offers classes on organic gardening, canning and beekeeping to name a few. As with any business, the more research you do upfront, the more likely your business will be a success. Find out if your idea is marketable. In other words, are there enough people willing to pay for the experiences you offer? Also, how can you promote (advertise) your business within budget? Once you have finished your research, come up with a business plan. Lack of planning has brought on the early death of many a potentially successful agritourism farm. Develop a practical plan, stick to it, and update it as needed to make sure you stay on the road to success.